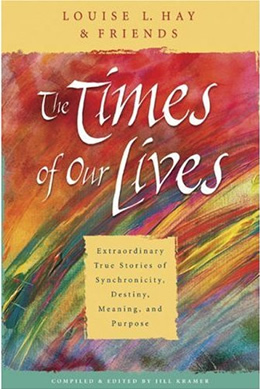 You can read my essay, "The Refugee's Guide to Being Human" from "Everything I've Ever Done that Worked", in "The Times of Our Lives: Extraordinary True Stories of Synchronicity, Destiny, Meaning and Purpose" by Louise L. Hay and Friends. (Hay House). Bestselling author and publisher Louise L. Hay has gathered some of America's top inspirational writers in this collection of essays and stories which are designed to inspire and encourage.